Packed 3 pairs to bundle priced by pair. • INSULATED TO RETAIN BODY HEAT: The top band ensures that your sock does not slide down. It also helps to insulate body heat keep and keep the cold air from reaching inside. Keeps body heat close to the body ,ideal for activities including working, skiing, snowboarding, hiking, winter fun. 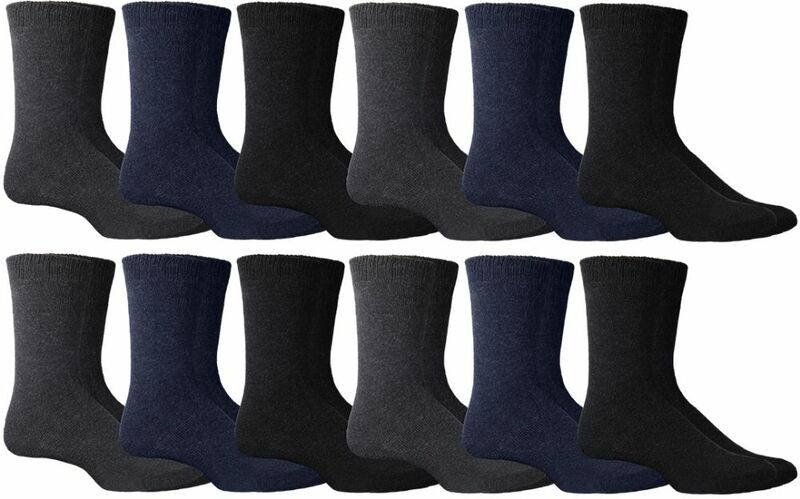 • NO MORE COLD FEET: Keep you feet warm and cozy this winter with thermal lined boot socks. Perfect for cold winter mornings. Wear these extreme weather socks when you go out to shovel or play in the snow. Designed for extreme weather and temperatures ranging from -15F to 25F. Perfect for skiing, snowboarding, hiking, fishing, camping, or simply for taking a stroll.